So if you have been keeping up with my blog you know that I attended a beauty expo named Premier Orlando recently. I took a class by James Vincent that talked about essentials for your makeup kit. One of the things he talked about was using a toner. Toner? Ummm…I’ve heard of it and I know that you should use it in your skincare routine but I wasn’t exactly sure what it’s purpose was. After doing a little bit of research I learned that the average person skips out on toner because most of the time toners contain alcohol which can be very drying and irritating to the skin. James actually recommended using Rosewater as a toner. From my understanding the toner is supposed to reduce your pore size, remove any additional makeup and dirt your cleanser may have missed and regulate the pH in your skin. 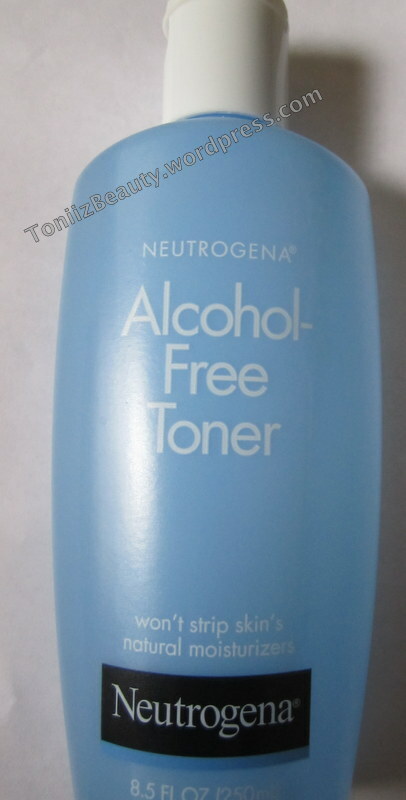 Now that we went over the general use let’s see if it holds true to this Neutrogena product. Specifically formulated to provide clean, refreshing toning without the harsh, drying effects of alcohol. Special mild purifiers gently remove impurities and recondition your skin. And because it is alcohol-free, this formula will not strip delicate facial skin of its own natural moisturizers. Your skin will feel fresh and clean without tightness, dryness or stinging. I have been using this for a week and a half and I have definitely noticed a drastic change in my skin. My skin feels so much smoother and makeup looks so much better. I have also found that it has helped control the oil that I have in my T-zone area. My skin feels hydrated without feeling greasy. There was also no stinging which is a major plus. It says that there is no tightness but I do feel some tightness when I use it but I don’t mind it. I think the tightness feeling is because it reduces pore size. But overall I’m loving this product and it has become apart of my skin care routine. Neutrogena is one of my favorite companies when it comes to skincare. It retails for about $7.99 and worth every penny!